ArtCebu's mission is to promote Cebuano art to the world. 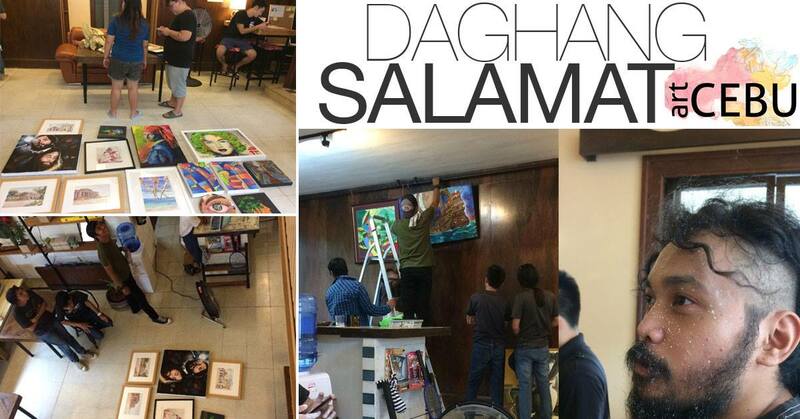 ​Artcebu’s mission is to promote Cebu art to the world through activities that raise awareness and appreciation. Through promotion and other initiatives, Artcebu aims to develop Cebu into a thriving, bustling, and renowned art and cultural city—one that sustains as well as encourages artists to develop high quality, world-class art. The ArtCebu team with artists at the Ayo Ayo art exhibit, September 2017. ​Since its founding, the organization has organized/co-organized various art exhibits, launched its online portal, www.artcebu.com, conducted art appreciation workshops with Cebuano artists, writers, and musicians, co-organized poetry readings, and other activities.